This year I will have an 8th grader and a 6th grader. No more elementary school. I'm totally in the middle school years now. It really is an odd feeling. I'm at that point where I'm not willing to part with those books I've used for the past 8 years or so. I hang on to them, "Just in case." This year my curriculum plan looks a little different than all my previous years. After following a gut feeling and the Lord divinely setting up testing, our family confirmed one of our children is dyslexic. Thankfully, I am being educated and encouraged about the best ways this particular child learns and what subjects I needed to focus on this next year. I was also surprised to learn this same child was actually very strong in a subject I believed was a severe struggling. Turns out, I was not teaching my child the way they best learn to adequately demonstrate mastery of the subject. But now I know! IEW Intensive - Level B - This is our first year using IEW. 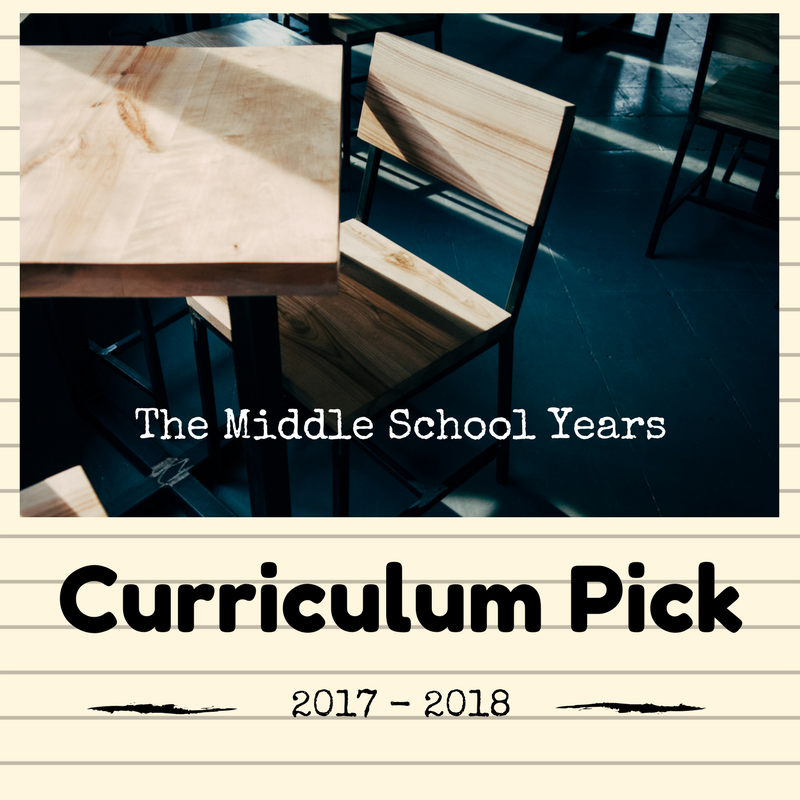 Honestly I've looked at using the curriculum for several years, but it always seemed to intimidate me. I finally sat down and watched the videos one weekend, and my kids overheard them and actually were laughing! They enjoyed the videos and do not complain about writing anymore! For the first time, this writer / homeschooling mom has finally found a writing curriculum I feel confident I can teach! All About Spelling 1 / 2 / 3/ etc... - Level 1 has gone quite fast in only a few weeks. I see us completing Level 2 and 3 by the end of the school year. **As of January 2018 we have almost finished Level 3. I strongly believe these instructions have had a greater impact on my children with a combined approach with Reading Horizons. Reading Horizons Elevate At Home Software - Get 30% off here using my link. You will need to register with Homeschool Buyers Co-op, which is FREE to register with the Co-op. This is a great savings for this curriculum! **As of January 2018 - Algebra I was not going very well with my oldest using TT. I was concerned he was not fully grasping all the math concepts needed for Algebra and kept needing the second attempt on many of his problems that TT allowed. His grades were actually showing good, but he wasn't getting the answers correct on the first attempt. He was getting frustrated and asked for something different. I also wanted him to have more review, so we switched to Math U See. **This started off as a neat curriculum choice for us, but my crew quickly grew weary of all the listening to the CDs. Our family typically enjoys listening to audio books, but this topic of choice was not keeping our interests. So... we dropped it for awhile and picked up YWAM Heroes in History books. We enjoyed that so much, that we decided to buy a few more in order, starting with Abe Lincoln, and do unit studies this semester on Abe Lincoln, Theodore Roosevelt, Orville Wright, and Douglas MacArthur. YWAM has study guides available online to go with each of these books, so we will be working on these interesting people over the next few months before picking back up with the Romans, Reformers, and Revolutionaries. Apologia General Science - This year we have also purchased the audio CD that reads the entire textbook to the student, along with the textbook and notebook. ABeka Creative Writing - For the first semester, we are working on refining our handwriting, which both can use this practice. Duolingo.com - For the second semester, each will study the foreign language of their choice from this free website. We did this last year and it worked fairly well for my oldest. It works best if you use it daily.